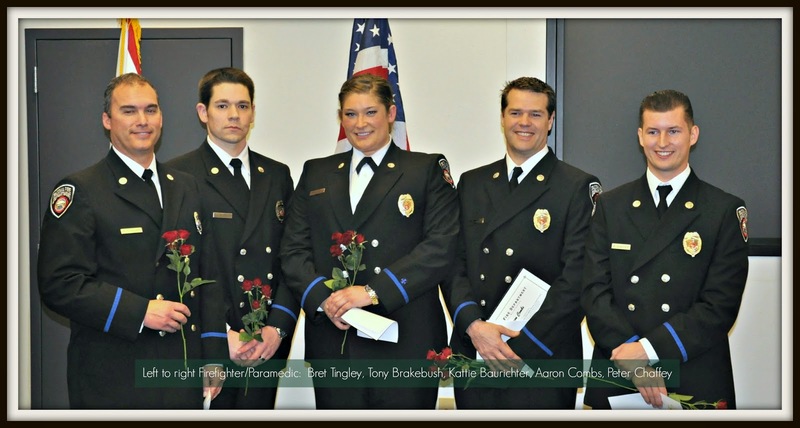 Five Tacoma Firefighters graduated from our nationally accredited paramedic training program in a special ceremony this afternoon. The graduates successfully completed 18 months of rigorous academic course work and hands-on training in their pursuit of National Registry Paramedic Certification. Over the course of the program, students worked their way through nearly 20,000 pages of assigned reading, answering over 13,000 test questions on the material. The hands-on portion of the curriculum involved numerous clinical hours in field and hospital settings, and demonstrated competency at a variety of emergency medical techniques. Congratulations!